Rewind to earlier this year: being the brush fanatic that I am, my eye immediately fell on these new Eyes Lips Face Studio brushes that were looking pretty darn good for a budget brand. When even one of my favourite YouTubers (KathleenLights, obvs!) was raving about these, I knew I had to get my hands on at least one of them. Because a) brushes are my weak spot in makeup and b) I want to be able to recommend you €8 brushes alongside the my regular picks of €25 or €50 brushes. Being all excited and ready for the purchase, I couldn’t find them on the Belgian website and a quick enquiry to my contact at ELF later, the verdict was that I had to wait until they came to Europe. About 6 months later these finally hit our local webshop, so like destiny they quickly ended up at mine. ELF and I go way back. Way before I was thoroughly into makeup and started buying MAC Cosmetics, I discovered the website of ELF Cosmetics and was surprised how budget friendly everything was. 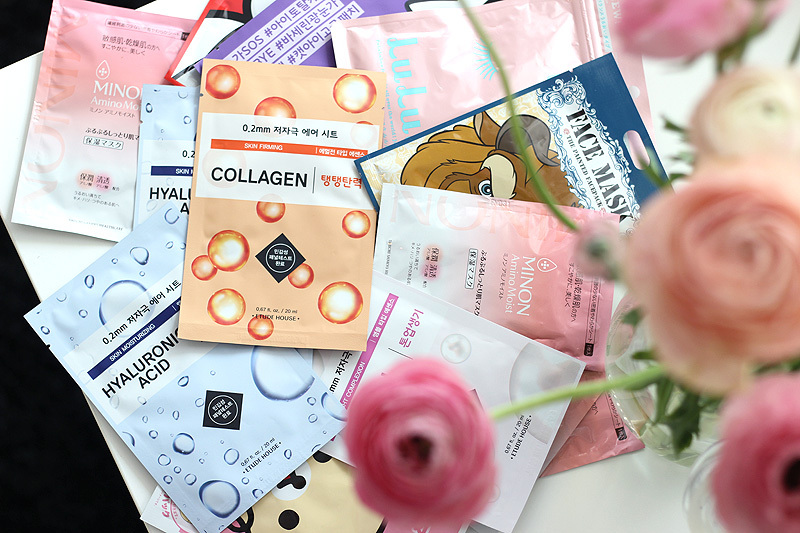 We’re talking budget friendlier than most drugstores, and being on a tight student budget.. it lured me in. Not everything is great quality, but there are some true gems to be found given the couple of euros they retail for. 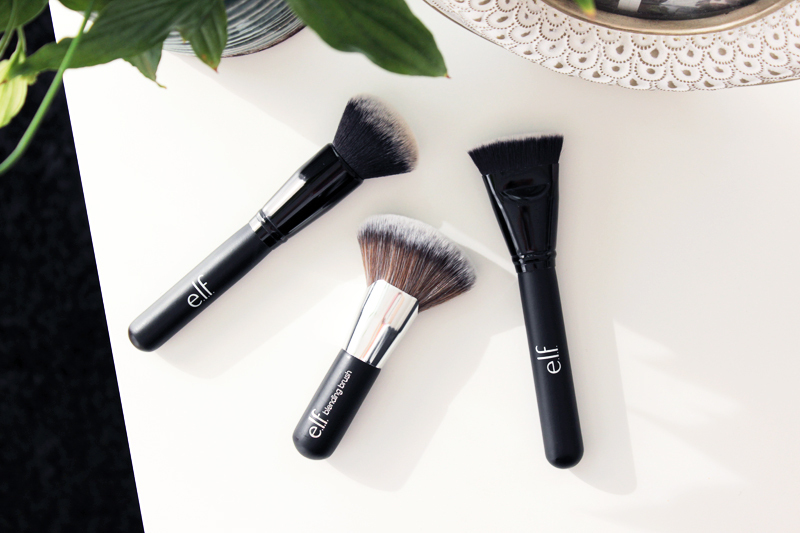 Nowadays I’m a little smitten with many other (luxury, I admit) brands and don’t regularly use ELF makeup anymore, but what I do continue use are a few of their Studio brushes. 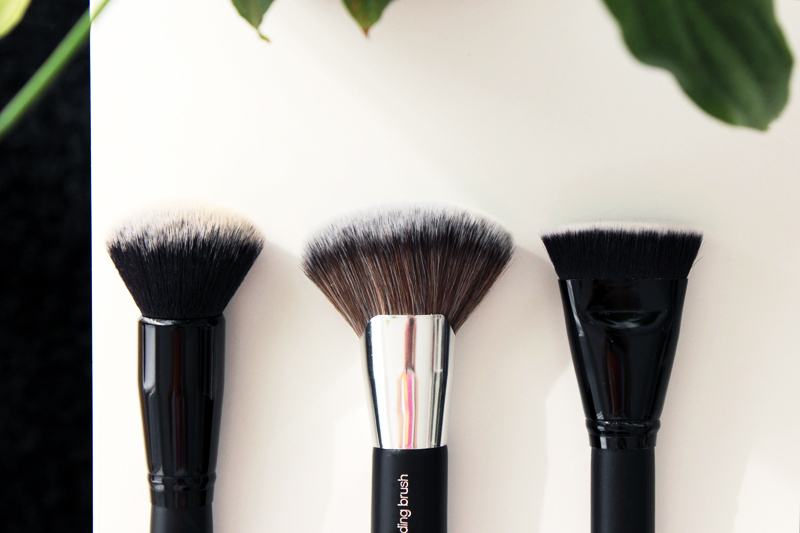 Brushes can be very expensive, but these aren’t and are actually pretty good quality. 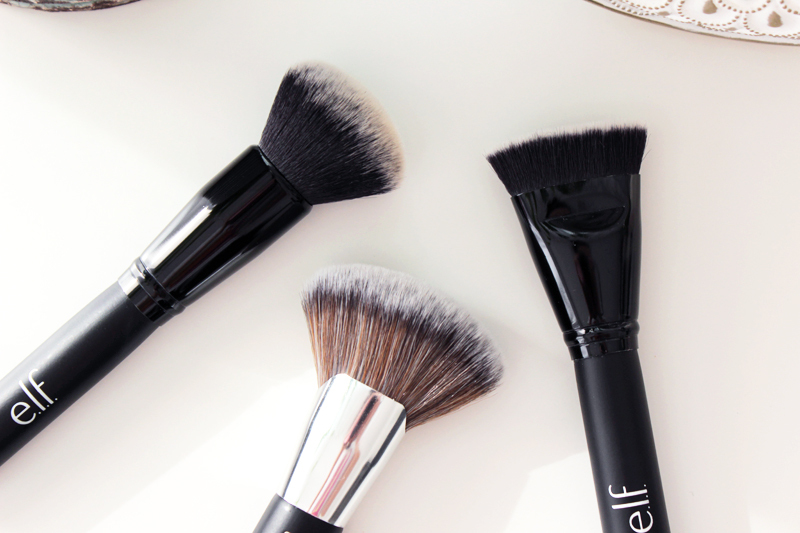 The Ultimate Blending Brush is an awesome brush for liquid foundation. It’s synthetic, quite dense and has a smooth rounded top. It works in liquid foundation beautifully! I’ve already washed these brushes a couple of times and this one hasn’t really shed any hairs and it stays as soft as it was when I first got it. The only issue I might have is that because it’s so dense, it can be hard to remove all foundation when washing. That’s why I’d recommend to wash this one a little more often than you would your other brushes. However, that’s an issue I have with most dense foundation brushes: product gets in there and builds up easily and it’s not always easy to remove.. The Beautifully Bare Blending Brush is a bit of an odd one - I wasn’t exactly sure what it would look like judging from the pictures on the website, but it’s actually another very nice foundation blending brush with dense synthetic bristles. It could in theory also be used for bronzer or blush, but it’s a little too dense for my liking to use it for those purposes. Even though it’s not the shape you’d usually use for blending in your foundation, it actually is very handy as it’s quite wide and covers a big surface. Haven’t had any issues with hair shedding while washing with this one either - yay! 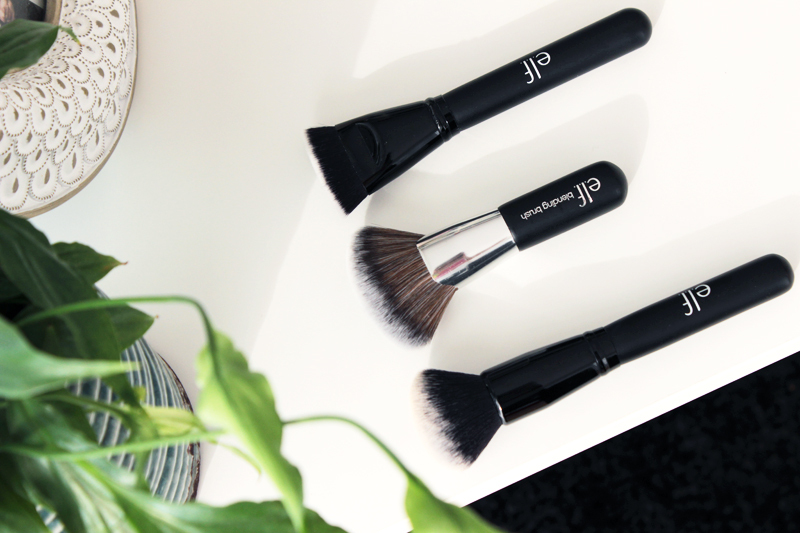 The Contouring Brush is really just perfect for sharp contouring, especially for your jaw and cheek bones. It’s very dense and deposits most of the product you picked up in one go, which means you immediately have a sharp and pigmented contour line to start working with. 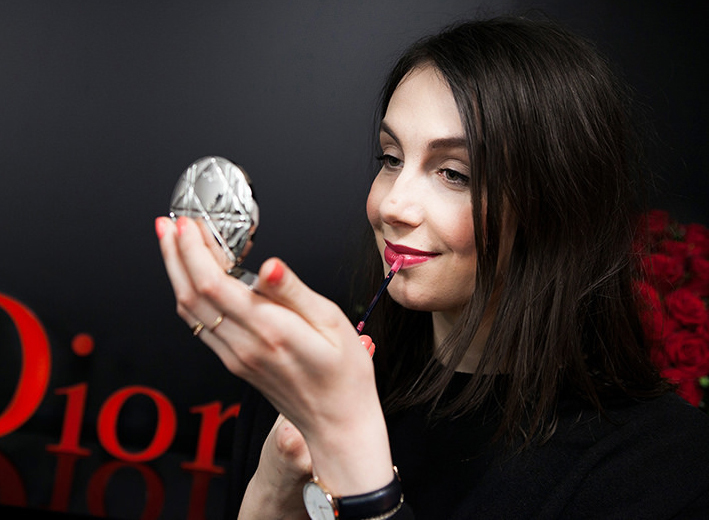 I tried this one out on my own cheek bones when going out last weekend and oh my - they looked to sharp! It does take some time to soften the edges of the contour afterwards, but when you’re using these kinds of tools for contouring you’ll probably be after a very sharp contour anyway. It didn’t really shed while washing, but it did have some hair sticking out after the first wash. I just cut them short again with a pair of scissors and haven’t had any other issues since. It doesn’t matter how good your makeup is, if your brushes aren't doing a good job at all.. the result won’t be as flawless as it could be. Truth! Luckily that doesn't mean you need to pay an arm and a leg anymore - there are plenty of budget friendly options out there that won't have you settle down for less. ELF Cosmetics has been doing a great job with their Studio brushes, but don't forget to also check out brands like Zoeva who has MAC Cosmetics-like quality for less than half of the price. And from what I've heard Morphe Brushes is pretty awesome too, I'm yet to order my first brush -which should happen soonish as I've found a two webshops that ship them to Belgium- so I'll surely update you on my findings.